The name on the label says “The Contours,” but all four of the singers who found success with 1962’s chart-topping “Do You Love Me” were gone by the time this number came out three years later. A novelty song penned in the vein of Jerry Lieber and Mike Stoller’s classic Coaster’s numbers, it’s hard to imagine songwriters Smokey Robinson and Bobby Rodgers presenting this number to their group, the Miracles. But since none of the Contour’s follow-up efforts had cracked the Top 40, they had a little leeway for fun. It’s not surprising the number failed to catch on, although it did prevent the group from becoming a one-hit wonder. What is surprising is the longevity of the group. As the original lineup fell away, Berry Gordy kept replacing members. Billy Gordon, the man who sang lead on “Do You Love Me” was replaced by Joe Stubbs, brother of Four Tops vocalist Levi Stubbs. After Stubbs left, Dennis Edwards was recruited to front the group. It seemed the end for the Contours when the Temptations plucked Edwards to be their frontman in 1968. Founding member Joe Billingslea had other plans. Nearly 10 years after he left the group, Billingslea, a founding member, resurrected the name and hired four other singers to play and record with him around Detroit. The band found themselves in demand after the Motown 25 concert and the 1988 film “Dirty Dancing,” which prominently featured “Do You Love Me.” The subsequent Dirty Dancing Concert Tour found Billingslea reunited with his old bandmate Sylvester Potts and recording for Motor City Records. 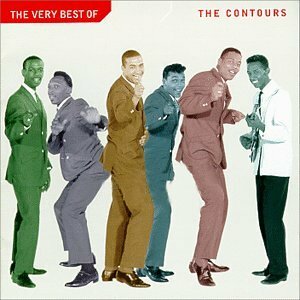 In the early ’90s, Potts split from Billingslea’s quintet and started his own four-piece lineup, also called The Contours. Today, both Joe Billingslea and the Contours and The Contours featuring Sylvester Potts can be found on the oldies and county fair circuit.